Why use the Technician’s Edition? 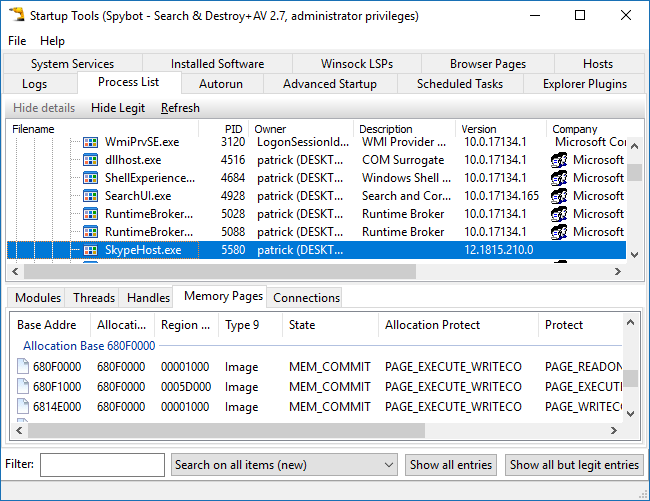 Spybot – Search & Destroy Technician Edition provides an extended set of tools for technicians who want to have a deeper look into all parts of the operating system. To analyze problems, check configurations, define own rules and more. Or just to maintain computers within workgroups or whole companies. 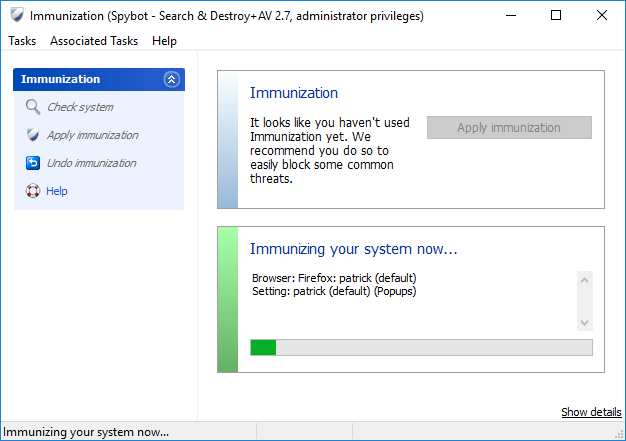 Use the complete protection against malware and viruses including Live Protection on your own system and define tasks you want performed on other systems. Thus, the license also includes the use of a portable device on systems that you support, where it may not be permanently installed. 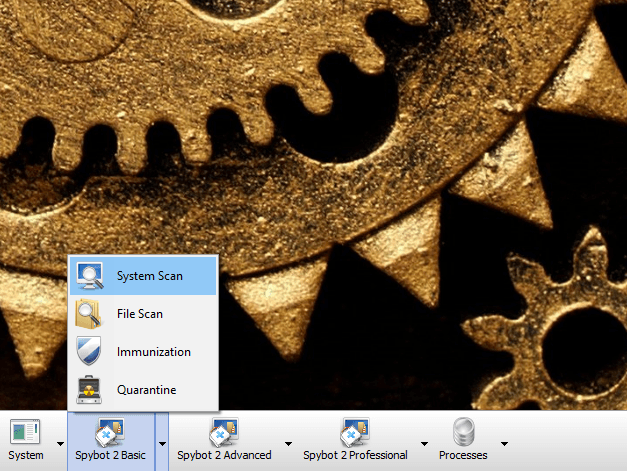 As with the Corporate Edition it uses two scan engines for different tasks like scanning for viruses and malware. It provides cleaning system startup and you may use some very special features. How many business use copies do you need? 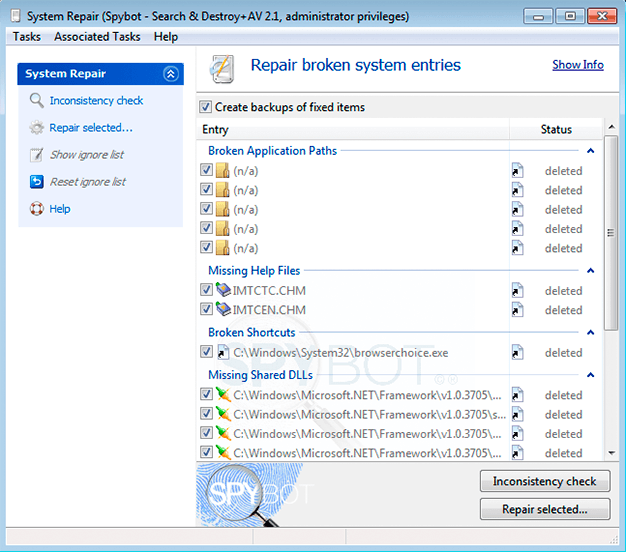 Spybot's Anti-Spyware protection uses our unique technology to find and remove all kinds of spyware, including adware, tracking software, keyloggers and other unpopular software. Your privacy is our ultimate goal! To provide you with the best possible protection, we've included an award winning anti-virus engine. It's the engine of choice of the best rated anti-virus products on AV-Test and AV comparatives. Our anti-telemetry tool Anti-Beacon Plus is available to all users of the Spybot Professional and the commercial editions. Rootkits use technologies to hide themselves and their actions from users and other system processes. 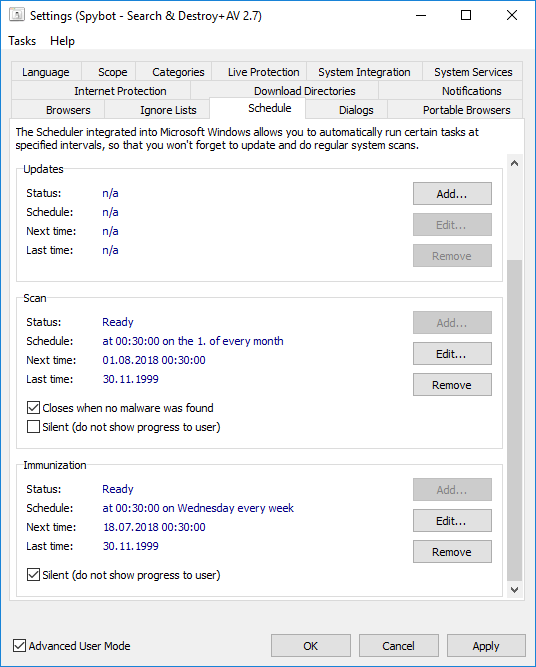 The Rootkit Scan is a special scan that can locate these rootkits. 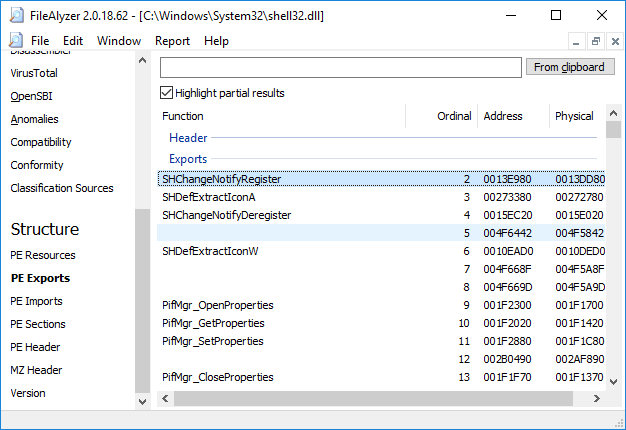 This scan includes checks of the file system, the registry and some process related lists. Staying up to date with all malware signatures is essential for your security. All paid editions of Spybot will download new signatures multiple times per day - automatically and in the background. 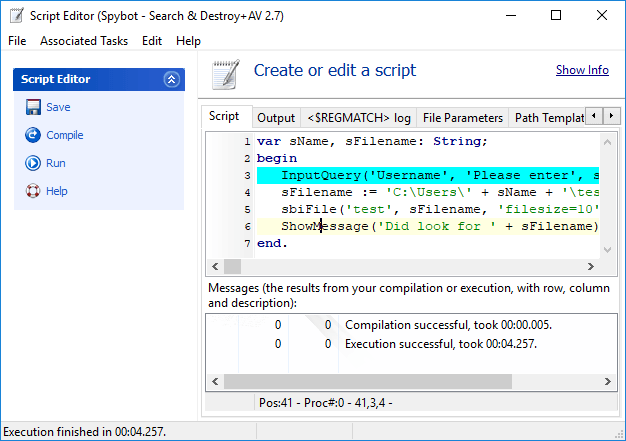 If you have purchased Spybot you have the advantage of being able to automate tasks. 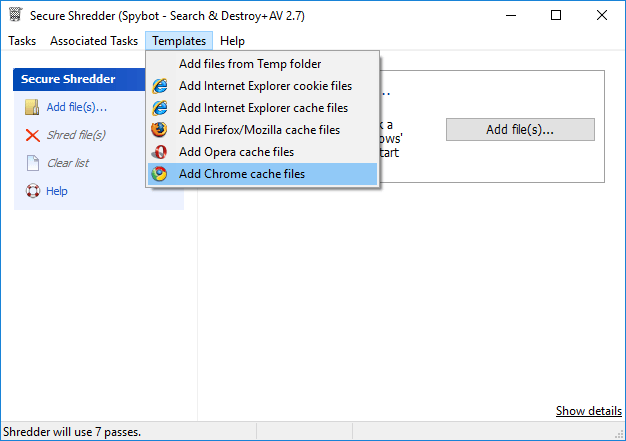 Using the Schedule option in Advanced Tools → Settings Spybot can create a Windows Scheduler task to keep your Spybot up to date, immunized and run system scans regularly. When you choose the Protected Repair Environment, a new Windows Desktop is opened and the Start Center runs in a way so that other software cannot interact with it. 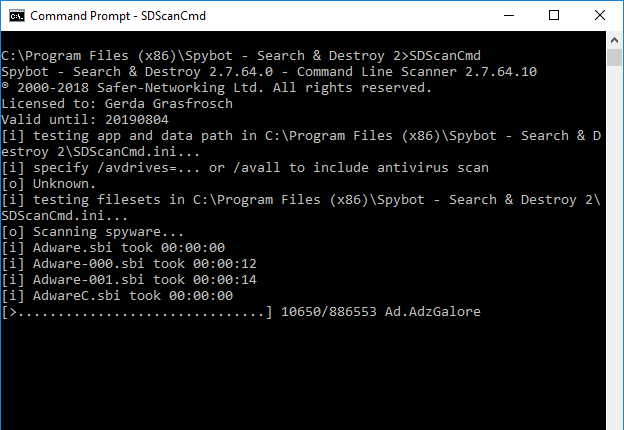 This prevents keyloggers and other malware taking over control of Spybot, using the same security desktop separation technology that the Windows Login screen and the User Account Control dialogs use. Beside the standard support options we at Safer-Networking Ltd. strive to support you in case of questions or problems. So if need help, do not hesitate to use our contact page! The Secure Shredder is a tool to safely remove files from magnetic hard drives. It uses multiple passes to make sure the files cannot be recovered. The system administrator may schedule tasks and use Command Line Parameters or even Command Line Tools to perform different tasks without user interaction. Powershell Scripts or Batch Files may help and the Windows scheduler can support special tasks as well. 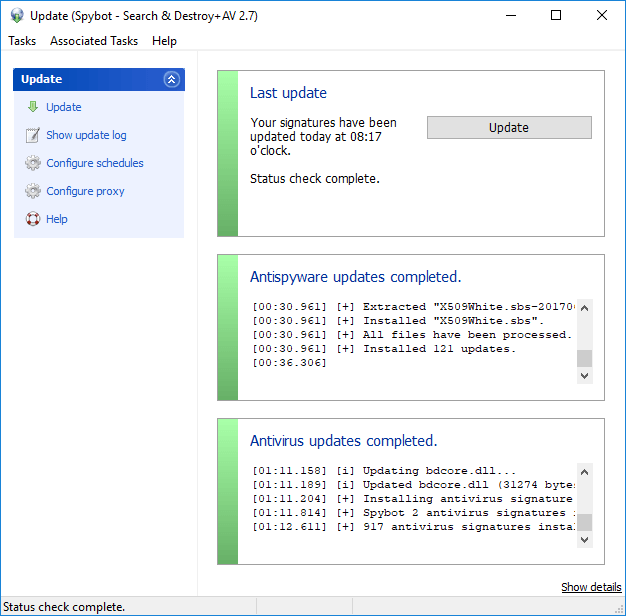 When there's malware already active on a system, it might prevent anti-malware tools from detecting it. 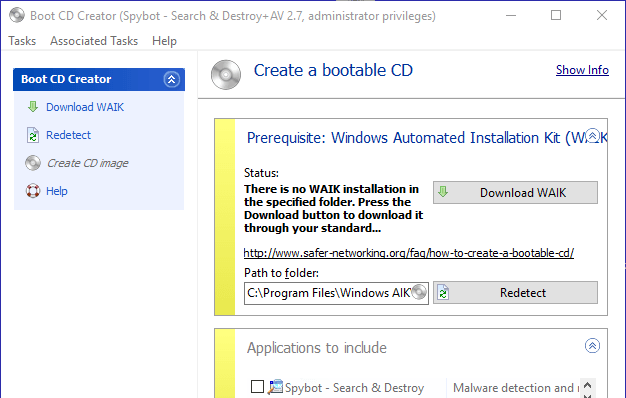 Starting from a Boot CD, you can fight the malware without it having a chance to activate itself. FileAlyzer is a tool to analyze files. It shows basic file content, a hex viewer, and a range of customized displays for interpreted file structures. It also supports generation of OpenSBI advanced file parameters.